OK, here it is. I’m constantly being asked about what I eat and so forth to stay energised and feeling good. I’ve explained the diet before in this post, but how do that play out in reality? First and foremost (and the subject of this post), it’s about breakfast. Many people don’t eat breakfast, and for some that can work. Even for me on occasion, but having the following as part of my breakfast really supercharges me for the rest of the day. 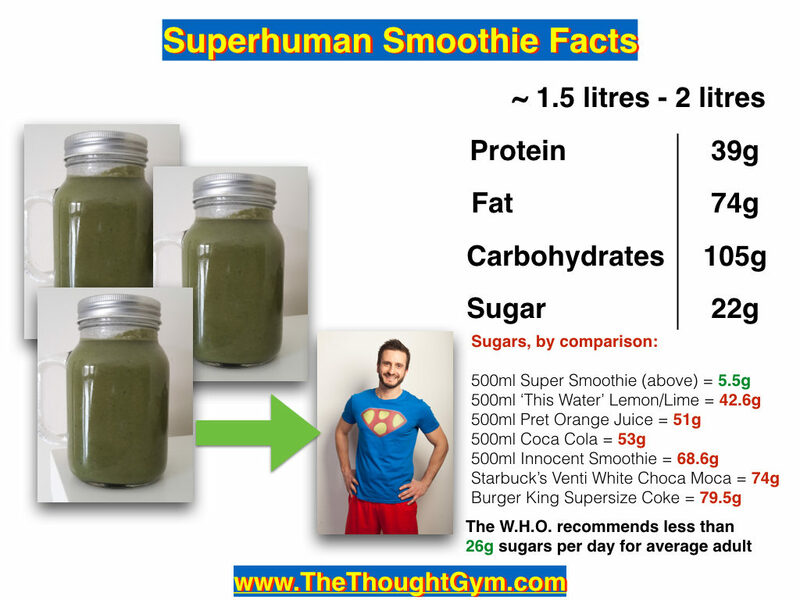 (The other thing I do in addition to the smoothie is a green vegetable juice (about 400ml)). 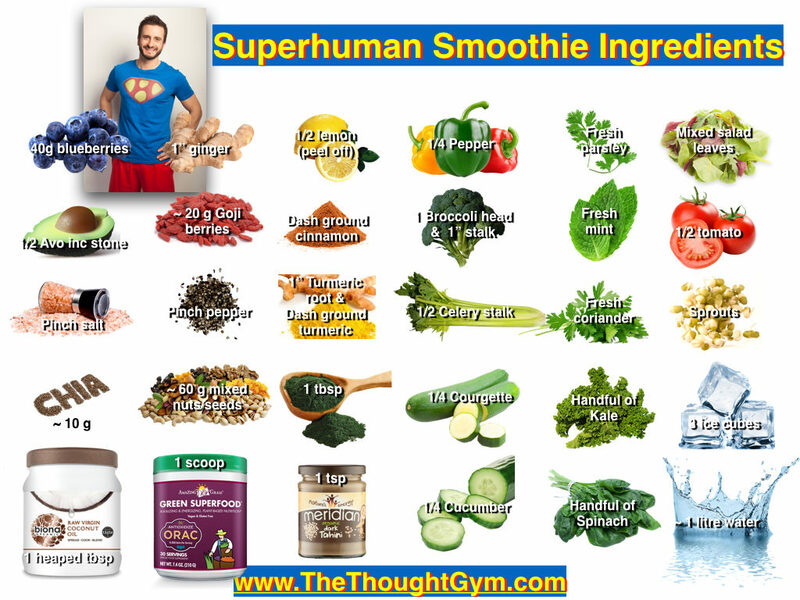 The image below shows exactly what I put into my blender (which is a Vitamix. Don’t try putting this into your standard blender. You need something like a Vitamix, Omniblend, Ninja, Blendtec. Maybe even a NutriBullet will do – but you will have to scale things down as it won’t all fit). You don’t have to do this extreme. I’m just showing you what I put in. Maybe start with 3 different types of veg, and a bit of fruit and lemon. Add in some super greens and that’s it. I would also include fat in there (avocado, nuts, seeds, coconut) otherwise you won’t stay full long. 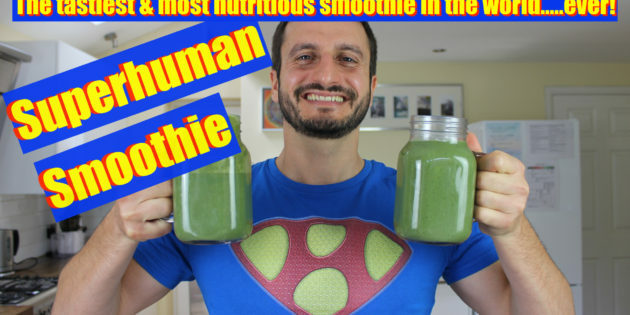 Check out the video for the full tutorial (about 26 minutes), or head to http://thethoughtgym.com/smoothie to get the ingredients list and benefits.